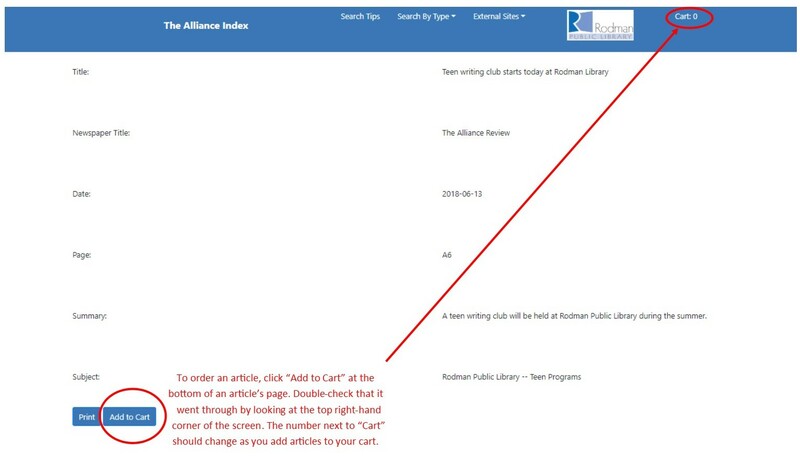 Requests for staff to copy library materials from The Alliance Index including obituaries and other microfilm articles are free of charge for the first five, each additional is one dollar ($1.00) per scanned page. For those requesting copies be mailed to them, the cost is two dollars ($2.00) for the first five and one dollar ($1.00) for each additional copy. We will answer your letter as quickly as possible. To order an article, click “Add to Cart” at the bottom of an article’s page. Check the number next to “Cart” at the top of the screen. The number next to “Cart” should change as you add articles to your cart. To view the articles you have added to your cart, click the “Cart: #” link at the top of the screen. The page will show all the articles you have added to your cart. To request PDF copies of the articles via email, click the “Request Article” button. 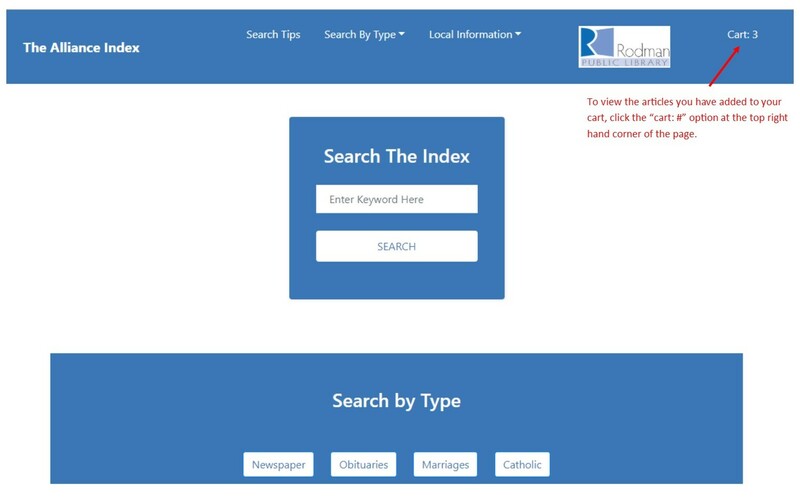 If you do not have an email address, please call the Reference Department at 330-821-2665 to request the articles. To delete the articles from your cart, click the “Clear Cart” button. 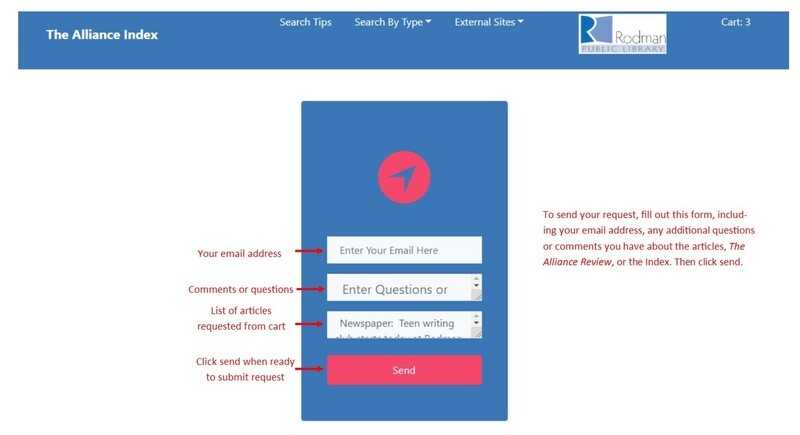 To send your request, fill out the form, including your email address and any additional questions or comments you have about the articles, The Alliance Review, or The Alliance Index. If there are articles in the list that you do not want, you can remove them here. Then click send.